Every time I drive from Lubbock to Austin, I go through the tiny town of Melvin, Texas. Almost the only thing there is an out-of-business store, and it’s been out of business since I can remember. And if you can believe it, with my love of out-of-business businesses, I’d never even stopped to look around. But last month, I had the opportunity to rectify my error. It was worth the stop – this confusing situation right here, with reflective glass and boarded-up windows, made it worth the brief delay in getting home. 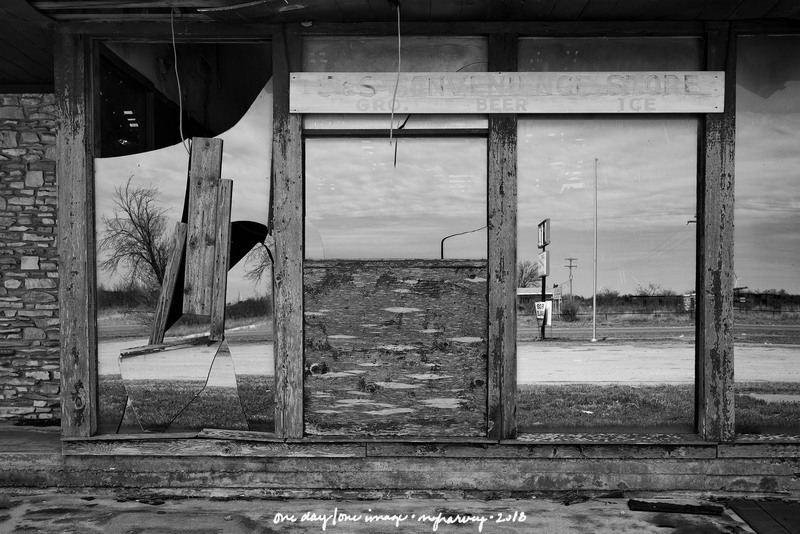 Posted on March 13, 2018, in Photography and tagged 365 photo project, abandoned buildings, black and white photography, learning to see, Leica, melinda green harvey, Melvin Texas, monochrome, one day one image, photo a day, photography, postaday, road trip, texas, thoughtful seeing, travel photography. Bookmark the permalink. 3 Comments. Yes, just a little confusing!! The photo confused ME when I first looked at it on my computer!